Limited edition green vinyl and collector's edition CD! 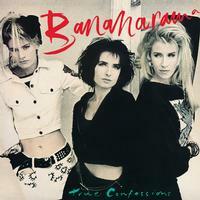 Bananarama’s third album True Confessions features the smash hit "Venus" which hit the top spot in the U.S. on Billboard Hot 100. The track was a huge dance floor hit across Europe, South American and Asia. The album includes the singles: "A Trick Of The Night," "Venus," "Do Not Disturb," "More Than Physical." Bananarama are often cited as the U.K.’s most successful ever girl group with 5 U.K . singles and 10 top 10's. They were the girl group that defined the '80s with their run of pop hits which soundtracked the lives of fans around the world.